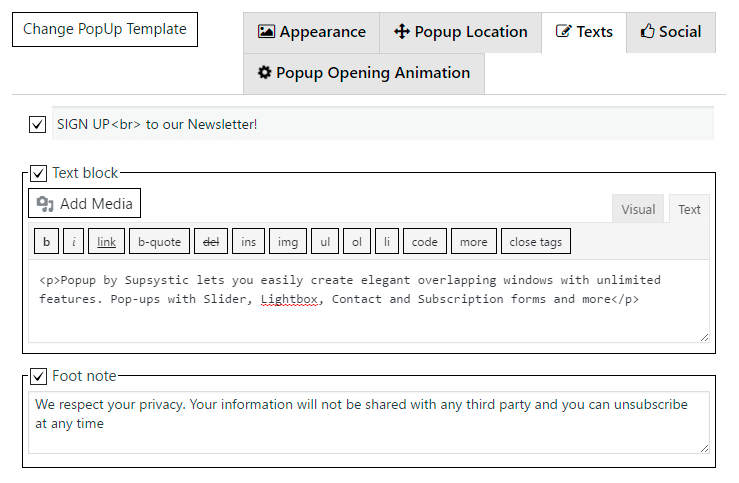 With Texts tab you can customize content of your Popup. Go to Appearance -> Texts section. Here you will be able to enable/disable different text blocks of popup and edit them. Label – header of your popup. Text block – main text in popup. Popup templates include different number of text blocks.